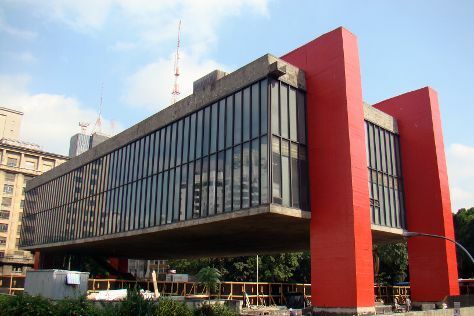 Let the collections at Pinacoteca do Estado de Sao Paulo and Museu de Arte de Sao Paulo Assis Chateaubriand - MASP capture your imagination. Do your shopping at Paulista Avenue and Shopping 25 de Marco. You'll find plenty of places to visit near Sao Paulo: Juquehy Beach (in Sao Sebastiao) and Mata Santa Genebra (in Campinas). There's lots more to do: wander the streets of Liberdade, get a new perspective on nature at Museu do Catavento, see the interesting displays at Football Museum, and get a taste of the local shopping with Centro Cultural Banco do Brasil. To see reviews, traveler tips, more things to do, and other tourist information, refer to the Sao Paulo road trip planner . March in Sao Paulo sees daily highs of 32°C and lows of 22°C at night. Finish your sightseeing early on the 6th (Wed) so you can travel back home.